← GFF – Summer is Coming! 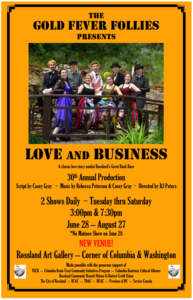 People are arriving in Rossland from all over the world to make a living in the mines and the storefronts of Columbia Avenue, and business is booming… except for the Velvet Hotel and its proprietor, Willabilla. Joseph Luckenbel has made a name for himself as Rossland’s barber, but his earnings aren’t enough to buy the engagement ring he needs to propose to Willa. Lucky for them, two banks have taken interest in becoming the first bank in Rossland, and they are in need of prime real estate. When the barbershop and hotel open their doors to the new visitors, Joe and Willa find themselves on opposite sides of Rossland’s Great Bank Race. But will the help of Willa’s quirky new friends be enough to save her hotel from closure? Can Joe find the courage to tell her how he really feels? And which bank will land the deal with British mine mogul, Whitaker Wright, to become Rossland’s premier bank? LOVE and BUSINESS have never been more intertwined in Southern BC’s golden town. We’re performing at a different venue for this summer! 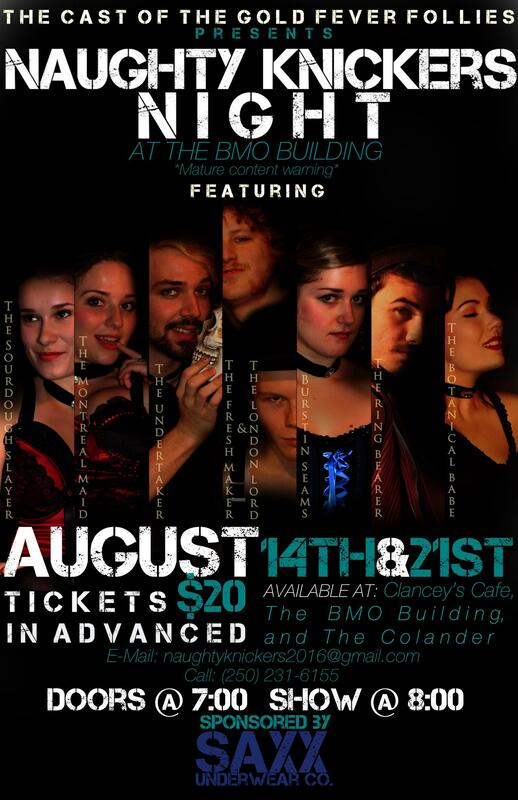 We’ll be performing at the old Bank of Montreal building in downtown Rossland. Find us on the corner of Columbia Avenue and Washington Street. 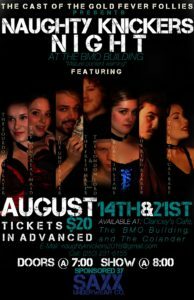 Tickets must be purchased in advanced at Clancey’s Cafe, the BMO Building or The Colander.